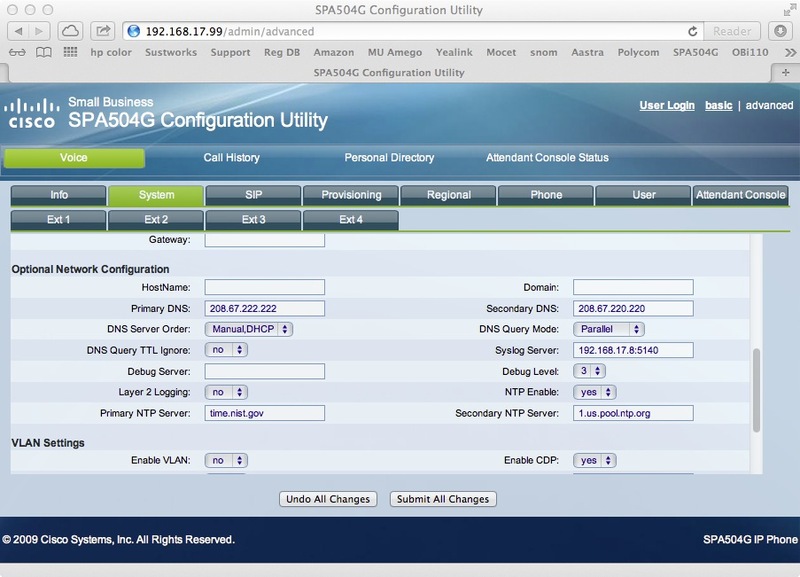 Phone Amego (1.4.19 or later) works with Cisco IP Phones including the 7940, 7960, SPA504G, SPA508G, and SPA525G. You can get on-screen Caller ID, call logging, dial, end call, mic mute, dial an extension, or send touch-tones. To add a device, Press + below the Telephone Devices table, select the kind of device you want to add (VoIP Phone -> Cisco), and then press Attach Device. If your device requires a password to login, you would enter it above with the username "user" or "admin", otherwise leave these fields blank. Press Scan to look for your phone and fill in the IP address found if any. Once an IP address is specified, pressing Login will attempt to open your web browser to the device status page verifying your login credentials were accepted. You will need to know the IP address of your Cisco IP phone if Phone Amego doesn't find it for you. By default, Phone Amego will poll your VoIP adaptor every 5 seconds to retrieve the call status. On a switched Ethernet LAN, the overhead is modest and responsiveness is comparable to landline caller ID which is sent between the first and second ring. 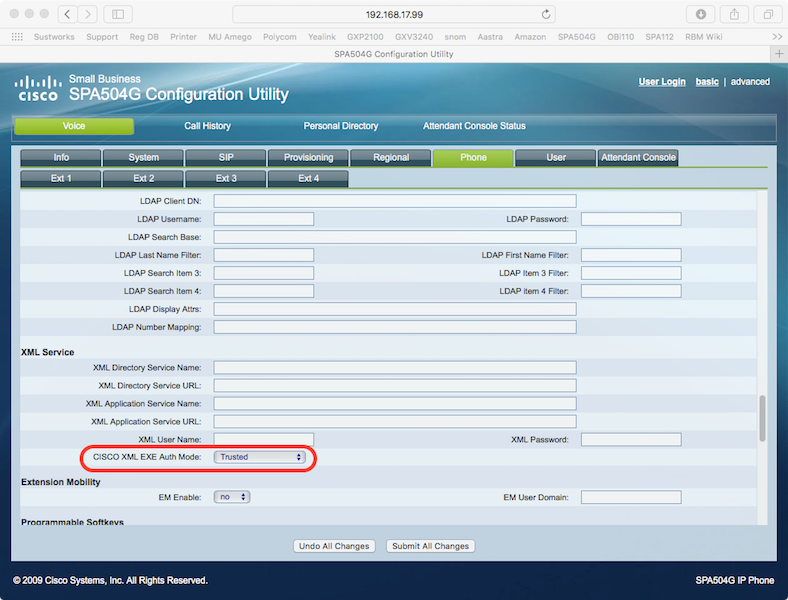 If you have administrator access to your Cisco IP phone, you can configure it to notify Phone Amego when the call status changes. This reduces the overhead of polling, and allows caller ID to appear on screen as soon as a call arrives. To use notification, check the "Receive Notification On" box, and then enter the corresponding IP address and Port as the “Syslog Server" on your VoIP phone as shown below. Press "Login" to login to your adaptor. Click on "Admin Login" if needed. Click on “advanced” if needed. Click on the "Voice" tab if needed. Click on the "System" tab. Copy the receive notification IP address and Port as shown. Paste this to the “Syslog Server" field. Your VoIP phone will now notify Phone Amego when its call status changes. When Phone Amego receives any such notification, it will pause polling to retrieve the call status. You will notice call status reporting is faster and more responsive. If you have the Mac OS X built-in firewall enabled, you may need to authorize Phone Amego to "accept incoming network connections." See System Preferences -> Security -> Firewall. In order for Phone Amego to dial with more recent firmware, make sure CISCO XML EXE Enable is set to Trusted. I tested a Cisco SPA504G with firmware version 7.5.5 ( Oct-2013). While Cisco offers a ton of configuration options making the phone very powerful, I found the user interface less elegant than Yealink’s. The display is busier and harder to read. Settings are more difficult to find and understand. Almost any configuration change requires rebooting the phone. Many operations seemed slower. The firmware would sometimes get stuck. On the plus side, the hardware is solid, sounds great, and has elegant bi-colored LEDs. Q: How does Phone Amego’s support for IP phones compare to Dialectic? A: Phone Amego provides more consistent support for both dialing and caller ID including call state, duration, and mic mute. See for yourself.